As many of you know and several of you witnessed on the morning of Monday 6/25 one of our member’s had a serious heart related episode after finishing his workout at the 6am class. The good news is that he is fine and is already back home with his family. Our community wants to personally point out two incredible individuals that literally saved this man’s life, Dr. Annie Powell and Brent French. They acted quickly, assessed the situation and took action. There are no words that can express our gratitude for what these two have done and they truly are heroes. That is why this month, we are recognizing both of them as of Prototype’s of the Month! We have never had two POM’s before but this was a no brainer. See below to read their stories and journey’s as incredible member’s of our community. I was a relatively active kid and played field hockey in high school. During college and med school, my fitness routine consisted primarily of carrying heavy textbooks to and from the library. (Such a nerd….) Upon finishing residency, I had 3 kids over the course of 18 months and I gradually began to prioritize fitness once again. I started with yoga, zumba and boot camp classes. We moved to Westborough in 2012. I drove by CFP one day and was intrigued, but nervous to try it out. I called and got the one and only Brian Zancewicz on the phone. He was so calm and positive…kind of gave me a yogi-esque vibe! So I felt comfortable coming to a class the next morning and soon I became a member. In February 2015, I was diagnosed with Hodgkin’s Lymphoma. I was out of CFP for about 9 months while I went through chemo and radiation. Getting back into CrossFit after treatment was challenging to say the least. The coaches and morning crew at CFP were beyond supportive as I stumbled my way back and I’m very grateful for that. Somewhat frustrated with how difficult it was to get back to the swing of things, I started doing training sessions with Mike and also signed up for the CFP Strength Program. When I came back to CFP after treatment, it was important to me that I became stronger than I was before cancer. 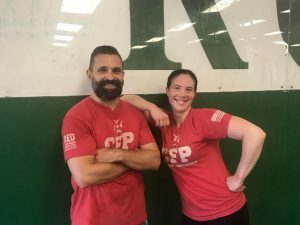 CFP, especially the focus on weightlifting, has helped me to believe in the strength of my body after experiencing the vulnerability of cancer treatment and recovery. THANK YOU to the CFP coaches and crew for giving me such a gift! What is your favorite part about being at CFP? Each and every morning I walk in the door, I am surrounded by people who inspire me to be a stronger, more grounded, and kinder human being. It is such a blessing to be able to start my day with such positive energy, authenticity, and laughter. The CFP community has been there for me during some of the most challenging days of my life and I’m beyond grateful for the friendship and camaraderie. Beyond the amazing connections I have formed, I absolutely love the experiences of learning and growing. I never imagined that I’d be developing new skills physically at this stage of my life. In particular, I enjoy learning about the many intricacies of weight lifting and totally love the feeling of hitting a technically solid lift! I work part-time as an Adolescent Medicine specialist at UMass Memorial Children’s Medical Center and I also do some teaching for the medical school. I’m passionate about adolescent health care in general, but I specialize in caring for teens and young adults with eating disorders. I feel honored to be allowed into patients’ lives during the dynamic and vulnerable stages of adolescence. How has (if it has) CFP helped you outside the gym (in life, sports etc)? I believe that doing hard things helps us develop confidence in our ability to do more hard things. In coming to CrossFit, we make a decision to challenge ourselves outside the boundaries of our comfort zones. I like to think that CFP has helped me develop more grit and resilience that spills over into my personal and professional life. I also hope that I’m teaching my daughters to believe in and value the strength of their own bodies and minds. What are your continuing fitness goals to this point? I grew up playing soccer and baseball and ran a little track in high school in Connecticut but was less than average. I got serious about lifting, running, and endurance in my late teens at the beginning of a 27-year full- and part-time military career as an Air Force Security Forces Officer. I did physically demanding work throughout active duty in the 1990s including Airborne, Air Assault, Ranger, leading teams in international marksmanship/tactics/fitness competition, deploying to run a refugee camp on GTMO, and being the Air Officer in a jump unit (which means a lot of parachuting). In 1999 I left full-time service, we moved to Westborough, and started a civilian career in IT sales & marketing (which later turned into software development) & was fat, dumb, and happy in a cubicle until 9/11. By the end of 2001 I was back in uniform and commanded a security squadron at a staging base in Oman in 2002 with some work in Afghanistan, then spent the winter of 2002-3 in eastern AFG. Fun fact: Over a 90-day period I ran 450 miles at Bagram carrying a handgun the entire time. It was nuts. There are two enemies in AFG: Taliban/AQ and the terrain, so programs like Mountain Athlete influenced my training in the mid-2000s. CrossFit caught on at SOCOM and the base I was working (MacDill AFB, FL) in a big way in 2007 and I did a few gymnastics WODs but I was just a recreational user. In 2009-10 I ran internal security at Kandahar and it was occasionally dicey so I came home with a renewed interest in being strong/durable. I met Mike Collette in 2010 at BSC and he taught me deadlift, thrusters, etc., but I was so used to doing my own thing I was slow to realize how much more rewarding fitness is with other people. 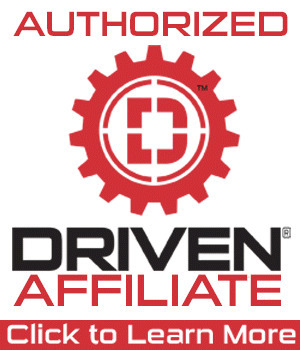 I joined Prototype in late 2014 when I was 45 and regret not joining sooner…I wasted six months preparing to CrossFit via basement workouts rather than just joining an affiliate. My Prototype birthday is Sat, 20 Sep 2014. 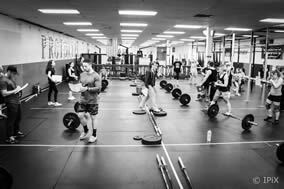 That day we did Shayne, a partner 24 min AMRAP of 800m med ball run, 9 C2B, 18 OH walking lunge, and 13 deadlift…named after a Hopkinton 8th grader Shayne Desroches who was killed while riding his bike. Heartbreaking, and I was hooked. 1) My greatest joy has been sharing CrossFit with my 15 yo Abby for the past three years; watching her practice uncommon maturity (like 0400 wake ups), seeing her thrive as an athlete, having the CFP community welcome and embrace her as one of the youngest athletes in adult classes, and best of all having our father/daughter relationship flourish. 2) Witnessing human growth in real time. When people confront demanding physical and mental challenges they become more capable people in and out of the gym. CFP is laboratory for adaptation and the evolution of the self. Man, that’s super tweetable. There’s no difference between an infant learning to stand and a thirty-something CrossFit athlete stringing together toes-to-bar for the first time after years of work. Amazing. 3) CFP people take care of each other. Nothing forges bonds like shared suffering. Suffering is an exaggeration because every workout is scalable for everyone and pretty fun, but you get my drift. 4) CFP is the antidote to stagnation. After four years there are still skills I’m learning and things I’m discovering about myself. CrossFit gives me weekly lessons in patience and humility. 5) Prototype in particular does a remarkable job in balancing tough days with active recovery days, making mobility work (that we all need) part of the daily routine, and coaches are dialed in to individual athletes and know when to advise pumping the brakes or hitting the gas. Remarkable athlete-centric coaching. 6) Hero WODs, especially Murph and Helton. My days are basically CFP, helping run the Foisie Business School at Worcester Polytechnic Institute (WPI) as an Executive Director, and teaching/researching Organizational Behavior mostly with our MBA students and sometimes undergraduates. My specialty is a very narrow slice of adult developmental psychology called Constructive Developmental Theory, and the big question I work on is “how can organizational culture promote human growth?” Since my last military mobilization in 2010 I’ve also been serving as an Air Force Colonel part-time with a couple years at AFSOC headquarters in Florida, four years on SECDEF staff at the Pentagon, and the last few years working with USAF HQ at the Pentagon, and I’m looking forward to retiring from the USAF Reserve this year and focusing entirely on scholarship and a career in higher education. I also love being with my social worker wife Kristin, 20 yo UConn pre-med club soccer playing daughter Maddie, 15 yo former Prototype of the Month soccer/shot/lax athlete Abby, and 7 yo chocolate labrador retriever Cooper. “The human capacity for avoidance is ALMOST limitless.” Brent French. I say “almost” because what you avoid for too long will probably be your undoing, and you’ll be forced to confront it when you’re in jail, in the hospital, fired, etc.